Finnair has news. 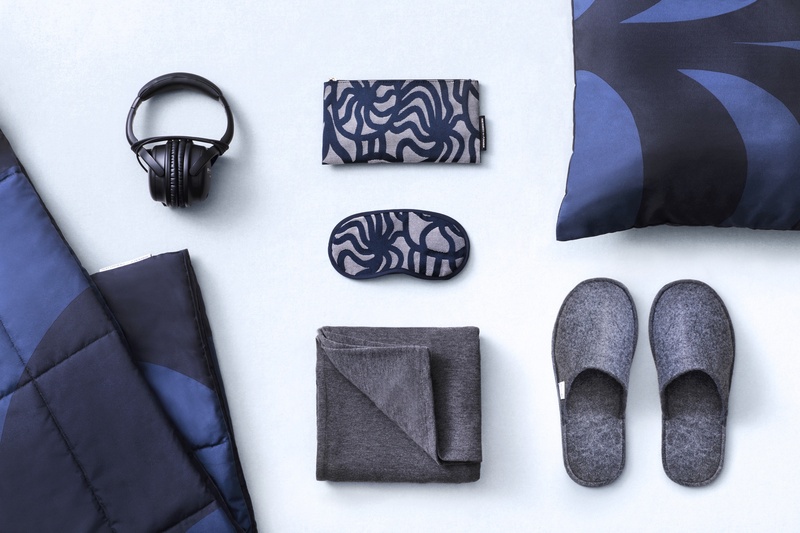 Finnair is launching a new direct flight between Helsinki and Los Angeles on March 31st, and what could be a better time to also continue their partnership with Finnish design house Marimekko, and refresh the amenities for business class. The new amenity kits also have Swedish L:A Bruket skin care products. The new amenity kits are well-thought of, and been designed sustainability in mind. Read on to learn more. 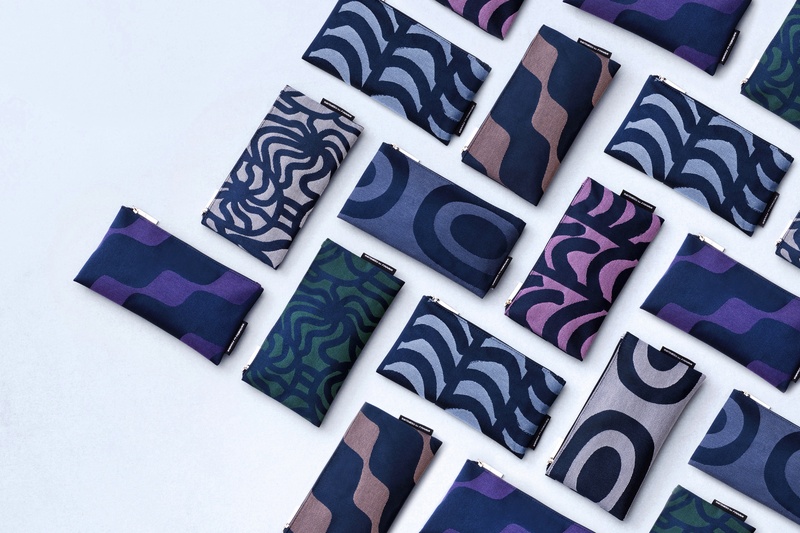 The amenity kits and eye shades feature four different Maija Isola designs from the 1960s – Rautasänky, Joonas, Jenkka and Pieni Melooni. Finnair will introduce two new designs at a time, changing them for another two every six months. Great idea to offer something new periodically, and surprising the frequent flyers with new. The kits are also larger sized than your typical business class amenity bags, giving them more uses after the flight. But it’s not just all about the looks. The kit is designed to try to offer you a better sleep. The business class eye shades are upgraded with soft-touch fabric and higher-quality straps to improve sleeping. The ear plugs in the kit are more effective too. Sustainability has been taken in consideration in multiple ways, and one big change is minimizing the use of plastics. Each new amenity kit comes wrapped in a cardboard band instead of plastic. The toothbrush is made from bio-plastic containing cornstarch, and the earplugs are wrapped in wax paper instead of plastic. Even the new business class slippers are made entirely from recycled PET plastic bottles. As with the amenity kit, each new pair of slippers comes wrapped in a cardboard band instead of the previous plastic packaging. With these changes, Finnair will be able to reduce plastic waste by almost 4,500 kg per year. In addition, some items are completely missing from the kit, and available when asked for. Finnair also provides an on-demand concept for some of the less commonly used amenity items, including razors, socks and combs. I love this idea of having some items on-demand only. 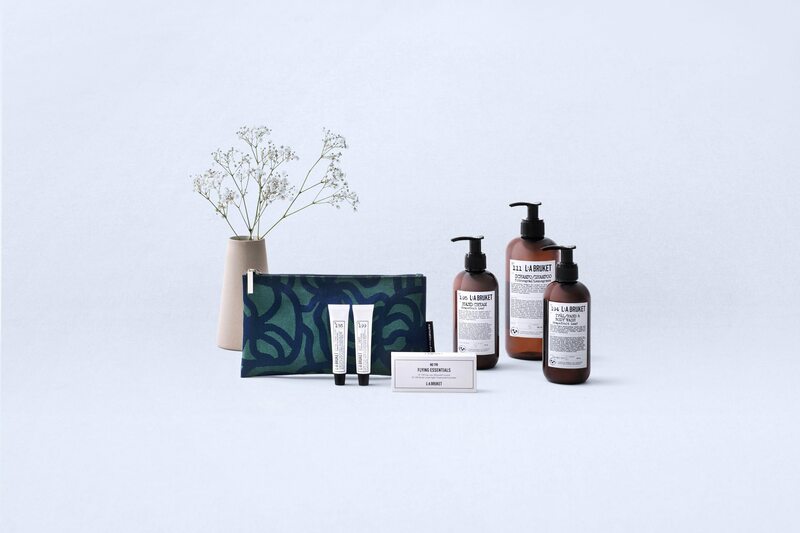 The new amenity kits will have luxurious skin care products from L:A Bruket – the natural and organic skincare brand from Sweden. The kit comes with aluminum tubes of almond-coconut lip cream and a chamomile-lavender facial hydrator from L:A Bruket. Finnair will also offer L:A Bruket hand soap and hand cream in its on-board business class lavatories, as well as L:A Bruket products in its airport lounge bathrooms and shower suites. Scents of cucumber-mint, lemongrass and grapefruit leaf have been chosen to help customers feel refreshed and invigorated. 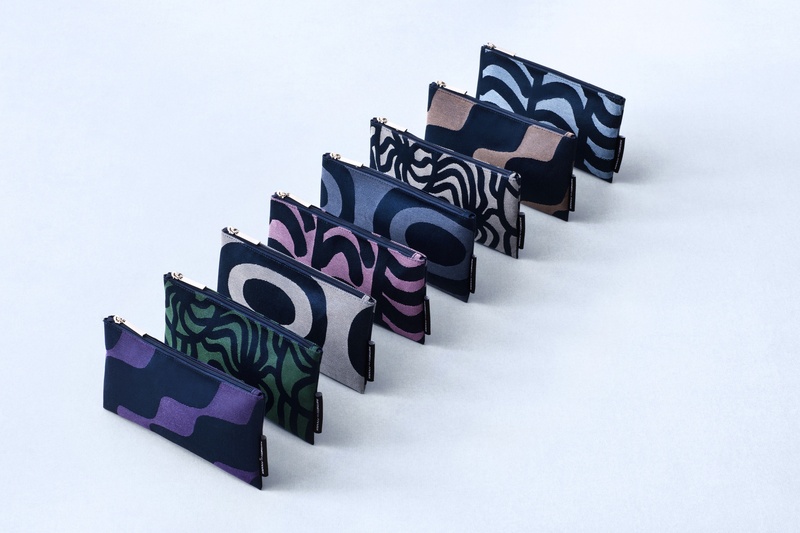 The new amenity kits will be available on all trans-continental flights on Airbus A350 and Airbus A330 aircrafts.